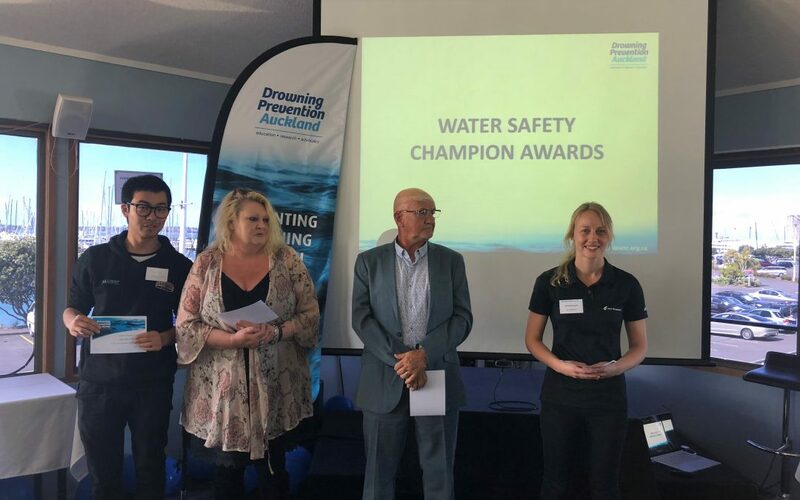 Our Water Safety Champion Awards, recognising organisations, community groups and individuals that have demonstrated commitment, initiative and leadership in the ‘championing’ of water safety education in the Auckland region. This could include delivering water safety education, creating or implementing solutions that address specific behaviours or problems, or raise awareness around a specific drowning issue. Congratulations to all that got nominated, were finalists and winners of the Water Safety Champion Awards this year. – Collaborated with DPA on various water safety programs and presentations focussed the North Shore Chinese community. These presentations included Rock Fishing seminars, mum and kids water safety workshops, learn to surf and he helped us deliver our west coast experience to Chinese youth. Gill has been instrumental in improving both her students at Rutherford college’s knowledge and understanding about water safety but also the community. In order to get the school pool used more she also asked DPA to train her junior sports committee so she could use both junior and senior sports committee members to supervise free swimming at lunchtimes at the school. Gill has been instrumental in a number of her students getting qualified with their PLPC during the school holidays through the Gateway programme. All in the hopes of making opening the school pool to the community over the summer months a possibility and using students as lifeguards to lead this. Kaleb is the Manukau Cruising Clubs new Fishing Captain this year and he comes with a passion at getting kids outdoors with their families and into fishing . Kaleb’s key message is keeping our tamariki safe , healthy and happy and is a champion in promoting water safety around land based fishing . He is also actively promotes water safety in his land based fishing excursions with adult groups. 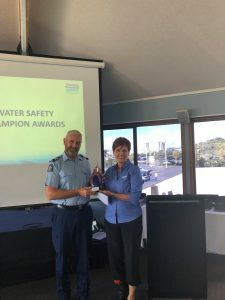 Sgt Geoff Bray of the NZ Police National Dive Squad has been active in drowning prevention for over eight years. He spends a huge amount of his personal time volunteering assisting charities and community members with river safety training. You can find him on his days off helping out at Vector Wero, giving advice to staff and to other stakeholders across the region. He also is on the global board (voluntary) for the International Technical Rescue Association and an instructor for this organisation. He is active in talking to fellow divers about diver safety which actively contributes to drowning prevention. AUT Millennium is one of the biggest providers of water safety education in Auckland. Our Schools Water Safety, Waterwise and Learn to Swim Programmes are predominantly populated by local North Shore schools, and the School EOTC Activity Days, which includes the Water Safety programme, is extended to schools across wider Auckland. Established in 2008 Community Swim has provided over 1,000,000 free swim lessons throughout primary schools in Auckland South. The goal of the Community Swim Programme is to enable all children to develop the basic life skill of swimming and to realize the opportunities that await them when the door to the world of aquatics is opened. Community Swim takes away barriers teachers and schools face in providing basic yet essential swimming and water safety skills. Students are picked up from school in the Community Swim buses and driven to one of our pools in south and east Auckland, where they receive seven swimming lessons. 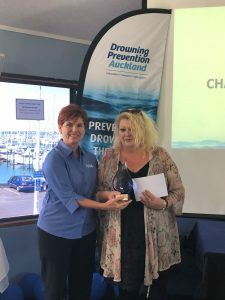 Harbour Sports ActivAsian program has contributed to water safety in the Auckland region in a number of ways in the past year. Collaborated with DPA on various water safety programs and presentations focussed the North Shore Chinese community. These presentations included Rock Fishing seminars, mum and kids water safety workshops, learn to surf and he helped us deliver our west coast experience to Chinese youth. The Manukau Cruising Club promote water safety consistently. The club is not only advocates but influencer’s in making a difference in sailing, boating, fishing and other water activities. Ian Ferguson is a household name, thanks to his impressive Olympic gold winning endeavours at Kayaking. What is not so well recognised, was his dream and passion in creating Vector Wero whitewater park. Now retired, he can be proud of this legacy of this world class facility. It would be nice to see him recognised for his significant contribution to creating a space that actively reduces drowning through education.